I’m showing off the HoloLens Edition Xbox One controller as well as the brand new Holographic Remoting Player app. 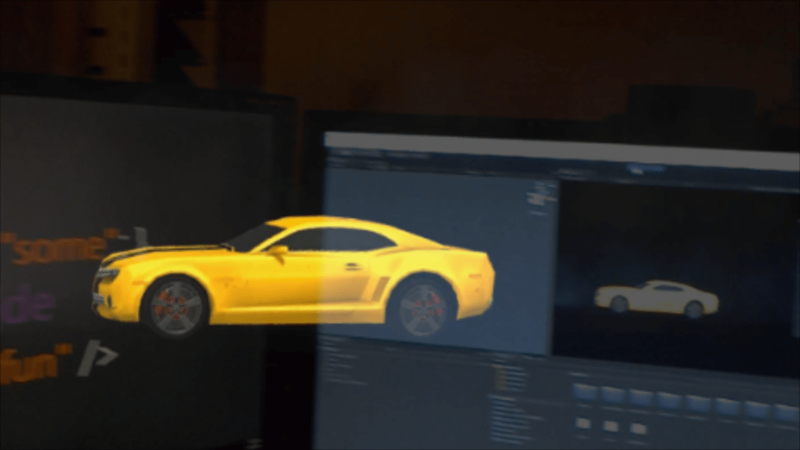 That app, along with the latest beta version of Unity (5.5.0B4), will allow you to click play in the Unity Editor and see the scene on the HoloLens. It is pretty powerful. It is actually using the computer’s GPU and streaming the data to the HoloLens. So in a sense, this is a tethered experience (via WiFi and not actual wires). But the cool thing is that this tethering isn’t required and while certain apps can benefit from the extra horsepower others won’t need it. I created a quick demo in Unity to use a car model and hooked it up to use the Xbox One controller’s input. Besides playing it through the Holographic Remoting Player, I deployed the app to the HoloLens as well. Oh and in the video I start out talking about a contest where I’m giving away the HoloLens Edition Xbox One controller I designed. If you want to win one head over to http://LearnHoloLens.com/controller.